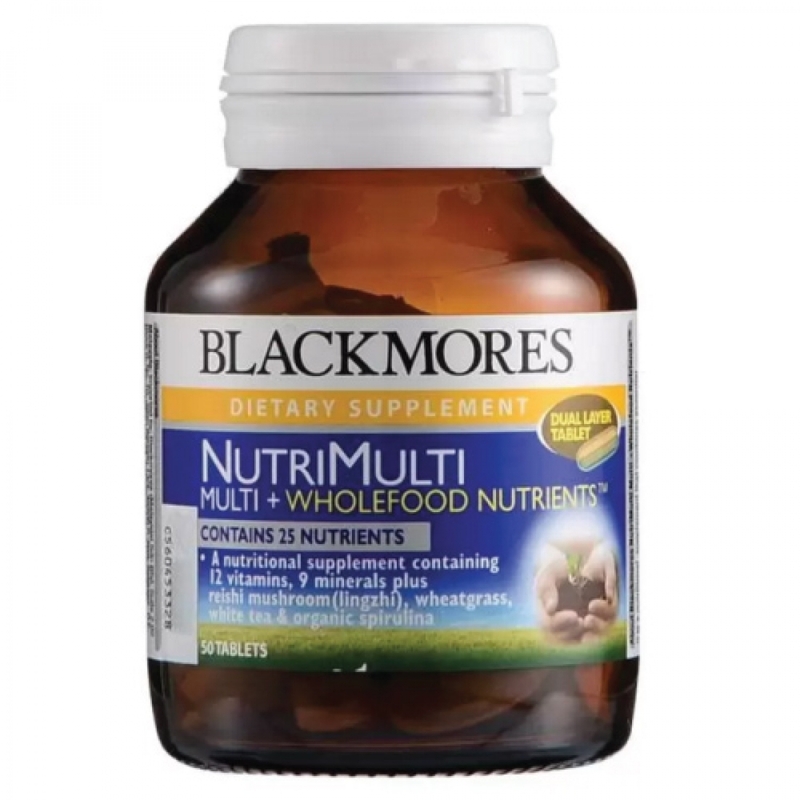 It is a nutritional supplement that combines essential vitamins & minerals in one layer and an enriching boost of wholefood nutrients in the other layer. The wholefood nutrients layer contains reishi mushroom, wheatgrass, white tea and organic spirulina. Spirulina are blue-green micro-algae that are a natural and rich source of nutrients, including vitamins, minerals, protein and phytonutrients (phycocyanin and chlorophyll). Spirulina is a rich source of carotenoids, especially betacarotene. Wheat grass is a "green food" source of chlorophyll, vitamins, minerals, proteins and enzymes. Despite its name, wheatgrass is gluten free and can be used by people with gluten intolerance. White tea leaves are picked before they open fully, when the buds are still covered in fine, white hairs, lending to the appearance of white tea. White tea is a rich source of polyphenols which have antioxidant and free radical scavenging properties. Reishi mushroom has been renowned in China for thousands of years. It is held in high regard in Asia. Adults: Take 1 tablet a day with a meal.